Without question, shaggy rugs are luxurious and extra soft to touch. The shaggy rugs enhances the look and feel of any room in your home, especially the living room and bedroom. The sensual feel these rugs offer when you let your feet sink into them, can hardly be explained in words. To help you get the most out of your shaggy rugs, AmerAdnan® has retorted the questions you have always wanted to be answered about this luxury floor covering in your home. Why You Should Buy a Shaggy Rug? All those people who love to create the sense of opulence in their home, would certainly admire the lavish appearance of this floor covering. The shaggy rugs not only adds to a home’s interior décor, but also give a texture to a space. They are to be picked in accordance with the home’s interior theme, so they can blend in perfectly. You can find an extensive range of shaggy rugs in the market to match with your home’s theme. Nearly, all the luxury homes in Pakistan have rugs in them, especially living rooms and bedrooms. What is a Shaggy Rug Made of? A shaggy rug is made of different materials. There are man-made shaggy rugs which make use of natural fibers as well as machine-made shaggy rugs, made of yarn. Both types of shaggy rugs are available in a plethora of colors, textures and shapes. 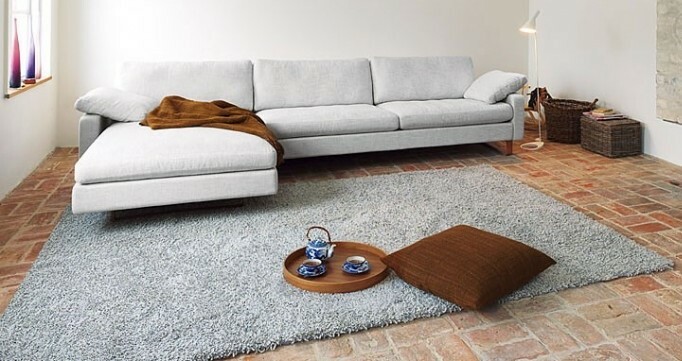 What is the Texture of a Shaggy Rug Like? The shaggy rugs got their name from the deep pile finish they offer. Some rugs are made of long fibers while others are made of smaller ones. The rugs with longer fibers are extra fluffy in look and feel. They are exactly the type of rugs that you dream to walk on. Your feet simply sink into them as you walk over them. Where Exactly Should You Place a Shaggy Rug? Due to the superb comfort shaggy rugs offer, you can place them literally anywhere in the home. If you want to get up every morning while placing your feet in the warm and inviting surface of a shaggy rug, then you can place it in your room. You can also place it in the living room, so you can sit, relax or even lye on it to watch TV or chat with your loved ones. A shaggy rug can also be placed in the dressing room, kids’ play area or even in the center of the drawing room. What Kind of Home Design is Ideal for a Shaggy Rug? According to the topnotch Pakistani interior designer AmerAdnan®, a shaggy rug doesn’t have anything to do with a home’s interior décor style. Whether you have a contemporary or a traditional style home, a shaggy rug is sure to complement any kind of finish. Having said that, Mr Amer revealed that by blending a neutral-colored shaggy rug with dark wall shade, you are sure to get stunning results. Adding to it, he said that homes with too much design details and patterns on the walls, furniture and upholstery, would look best with solid colored shaggy rugs. Whereas those with solid colored walls and furniture, would look inviting with the textured shaggy rugs.